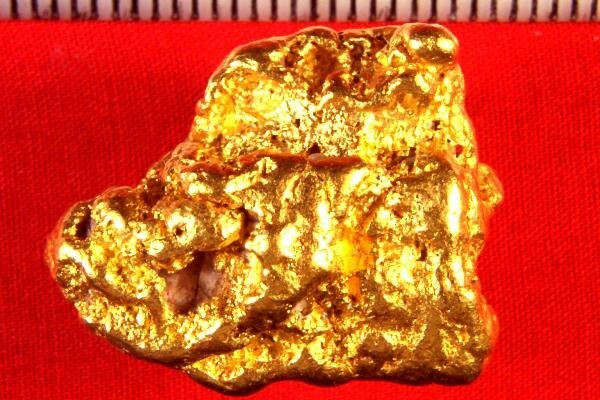 This awesome Australian Gold Nugget weighs 2.53 Troy Ounces (78.8 Grams). Gold nuggets like this one from Western Australia are some of the purest in the world. 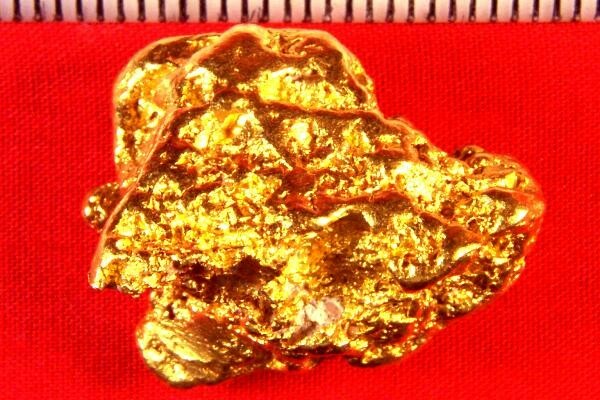 The gold in this incredible gold specimen is 92% to 98% pure (22KT to 23KT). Holding a one ounce natural gold nugget like this in your hand is incredible. 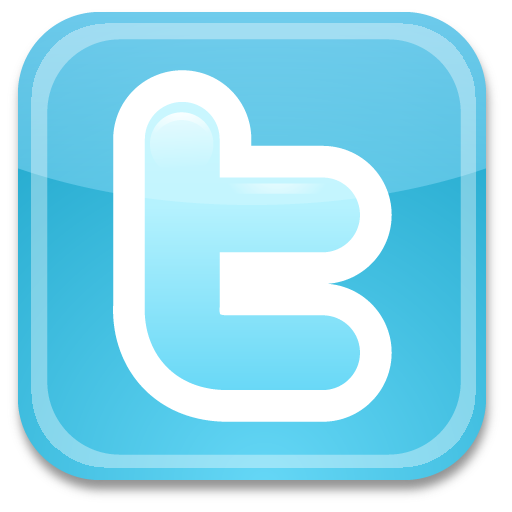 This nugget is 1.25" x 1" x 7/8". A truly awesome Australian Gold Nugget!